My name is Andy Winohradsky. I’m the owner and Coach/Instructor of DirtSmart MTB Skills Instruction. I’ve been a certified professional mountain bike skills instructor since 2007. 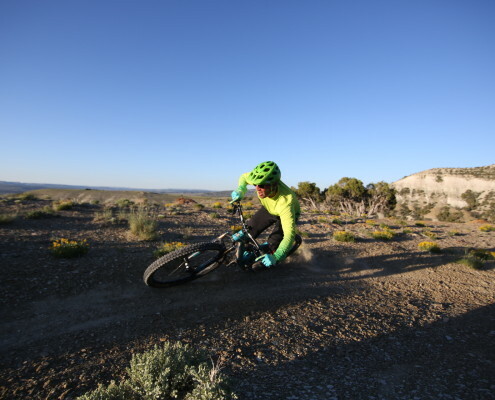 Since 2007 I have also functioned as the “Head Coach” of BetterRide Mountain Bike Skills Instruction and Coaching, arguably the most successful mountain bike skills instruction company in the world. I’ve raced mountain bikes professionally since 1997 and I’ve been around the bike biz all my life. I have worked as a Yeti Cycles Team Mechanic, built trails for a living, worked in bike-media, and have put in many years in bike shops. I also have experience in high-level motocross and BMX racing and riding, as well as “stick and ball sports” (football, baseball, wrestling in high school; college wrestling). Outside of bikes, I’ve worked as a personal trainer and have taken formal schooling in Sports-med. I have also been a licensed EMT and First Responder. I mention all these things because any MTB skills student, of any ability level, will be hard pressed to find a better resource in a skills instructor, coach, or trainer. I’ve raced, ridden with, and been around many of the top riders in the world since I started riding mountain bikes over 25 years ago. I understand how the human body works, as well as bike design; and build, and back up my instruction, based on this knowledge. The techniques that I teach work at the beginner level (where many riders simply desire to be safer, ride more in control, gain confidence, etc. ), as well as the highest levels of riding (where speed and shaving fractions of seconds off of a time are paramount). Riding MTB is about basics, even at the highest levels. Just like almost ant activity, MTB has to be broken down to these basic building blocks, and mastered at these levels, for any hope of success. Besides skills instruction, I understand nutrition, training, injuries, etc. and regularly will touch upon these topics during instruction.